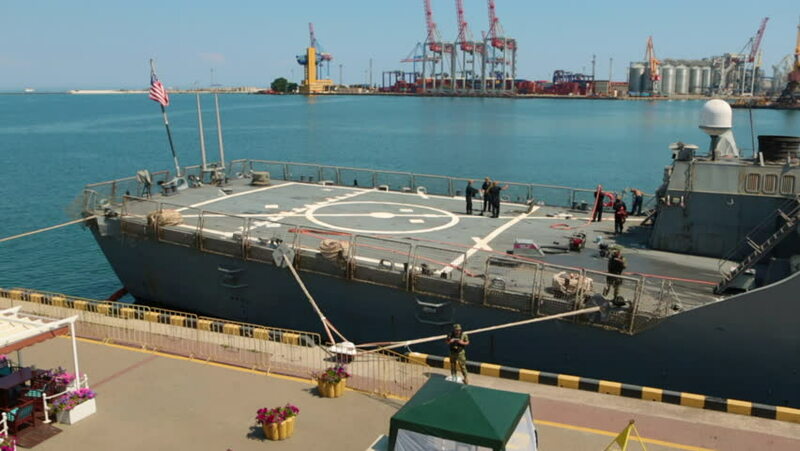 Odessa, Ukraine July 13, 2018: A military ship of NATO forces in the port during the naval exercises in the Black Sea. Crushing of the naval forces of the Nato of the Mediterranean Sea. hd00:27VLADIVOSTOK, RUSSIA - CIRCA MAY, 2016: View on the Waterfront of Ships is located in the city center on the shore of Golden Horn Bay. It is a popular holiday destination with locals and tourists. hd00:13FREMANTLE, WA/AUSTRALIA - FEBRUARY 18, 2014: Fishing boats moored in Fremantle fishing harbour. The harbour was built in 1919 and is surrounded by a well established tourists precinct. 4k00:44Drone tracking down into Portland port, Victoria, Australia - Jan 28, 2018.